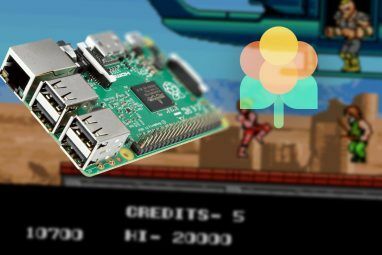 You already know that some applications offer portable or “soft” installations, but don’t you wish there was some place on the Internet where you could find any portable application? Although few, the good news is that there are some! Portable applications are incredibly useful. 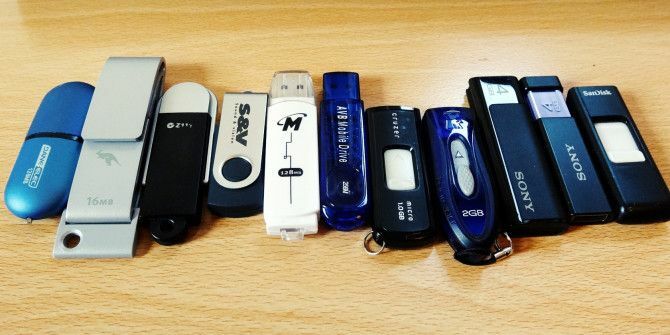 If you’re someone who is constantly carrying around a flash drive, you should always have a few of your favorite portable applications (or even a portable application suite 4 Portable Application Sites & Suites You May Not Know About 4 Portable Application Sites & Suites You May Not Know About At MakeUseOf, we have provided you with countless articles on perfecting your USB flash drive with portable applications. If you've yet to see our Best Portable Apps page, you need to give it a look.... Read More ) on it. 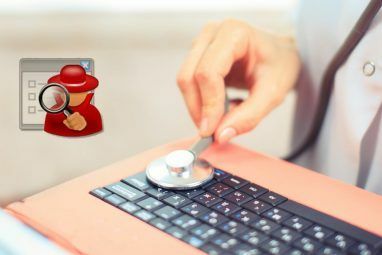 I’ve found that portable applications are just as useful for a wide variety of uses — like when you’re setting up synchronized folders Easily Synchronize Folders on Your PC with Synkron [Windows] Easily Synchronize Folders on Your PC with Synkron [Windows] Read More . I have a folder in my Dropbox dedicated to no-installation-required programs, and syncing it to any new desktop or laptop means that I immediately have several applications available at my fingertips. It’s rather helpful. In this post, let me show you where you can go to find these types of portable programs. Before we jump into a few massive directories that are filled with portable applications, it’d be smart to beat our own chest and start off with one well-compiled collection. Applications are linked to reviews that already exist on MakeUseOf. You can browse to the review pages of the individual apps and check them out in depth before you download them. Some of the applications listed here include Songr Songr - An Amazing Way to Search, Stream, & Download Music [Windows] Songr - An Amazing Way to Search, Stream, & Download Music [Windows] While Spotify is the successor to well-known names like Napster and Kazaa (though not P2P and well… legal), those of us that are still stubborn and prefer a solution to download music or stream without... Read More , Pidgin, GIMP, BSNES, Notepad++, AutoHotKey, TrueCrypt, KeePass, 7-Zip, CCleaner Optimize Your System To Run At Its Best With CCleaner Optimize Your System To Run At Its Best With CCleaner Over the last two years, CCleaner has changed quite a bit in terms of version numbers...up now to version 3.10 at the time of this writing. While visually the program actually hasn't changed much (it's... Read More , TeamViewer, Media Player Classic, Opera Portable, and more. For someone who wants to to quickly and easily bring together the best and most useful applications, this page is great. This website is by far my favorite place on the Internet when I want to find portable applications of any kind. As the name implies, everything you’ll find here is 100% free and portable. The Portable Freeware Collection immediately sorts entries by newest or latest updated, though you can toggle it so that it shows the most popular applications in an order. One observable plus that The Portable Freeware Collection holds over every other competing portable applications directory is that it makes sure to offer as much information about each application as possible. As you can see in this entry for WinHHTrack Save and Backup Websites for Offline Reading With HTTrack Save and Backup Websites for Offline Reading With HTTrack Yes, you can download an entire website for offline browsing. With your website backup, you can access online resources, even when you don't have internet. We show you how to set up HTTrack. Read More , it tells you about compatibility requirements; where it writes settings to; if it’s stealth; and how to extract the application and use it as a portable program. The Portable Freeware Collection is able to show more applications in their directory because of this. Some applications listed aren’t “portable” but offer instructions on how to extract the application’s files (manually or using a program like Universal Extractor Open Any Compressed File with Universal Extractor Open Any Compressed File with Universal Extractor Read More ) so that it operates portably. The Portable Freeware Collection is the place to go if you’re looking for the largest source of portable applications. Pendriveapps.com is a very large and organized directory that is quite similar to The Portable Freeware Collection, but just structured differently. On the left-hand side of this website, there are a huge number of links that serve as categories that cover the applications listed here. These include antivirus, media players, IRC clients, email software, disk defragmenters, file managers, translators, system tools, web servers, browsers, encryption utilities, and more. All listed applications come with a full review page that offer a paragraph introducing the application, a screenshot, the extracted size, download information, and other similar portable applications. Pendriveapps.com is presented very nicely, it’s easy to navigate, and it offers a respectable number of applications. TinyApps.Org offers an interesting and very niche spin to a portable applications directory. The huge majority of the applications here are portable (I’ve yet to find one otherwise) and they are all extremely small in size. Categories include applications like browsers, text editors, graphics software, system utlities, file managers, and even software for the Palm and OS X platforms among many other miscellaneous applications. 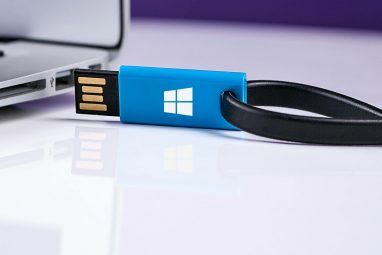 These applications are perfect for those of you with a very small flash drive that has hardly any space left to spare; maybe one with a few hundred megabytes of space left that you really want to squeeze out. Each entry links directly to the software page, shows the size of the application, and offers a brief sentence-long explanation as to why it’s useful. Some of the applications listed here are as small as a few kilobytes in size. PortableApps.com is one of the most well-known places on the web to go for portable applications, most specifically their famous PortableApps.com Suite PortableApps.com Suite: The Best Portable Applications Manager & Database PortableApps.com Suite: The Best Portable Applications Manager & Database Portable applications are no secret – they have grown in popularity as their benefits continually become more well known. PortableApps.com should be given a lot of credit for this. Sure there are several portable application... Read More . However, PortableApps.com also offers their applications in a standalone format through a directory of more than 300 apps. PortableApps.com is great because they take some of the best applications found on the Internet and condense them into a portable form. A lot of these applications have never before been offered as portable installations. PortableApps.com makes it happen. Some of the applications you can expect to find here are AkelPad, Stellarium, Freeciv, Fyre, Blender, PicPick, FileZilla Master FTP File Transfers On All Of Your Sites With FileZilla Master FTP File Transfers On All Of Your Sites With FileZilla A large number of FTP clients of old had hiccups when it came to large file transfers. The apps experienced the usual timeouts that you would expect when the computer sits there for 15 to... Read More , FeedRoller, aMSN, PuTTy How to Tunnel Web Traffic with SSH Secure Shell How to Tunnel Web Traffic with SSH Secure Shell Read More , and more. I love covering portable applications here at MakeUseOf, but you can’t cover all of them! If you’re as obsessed with portable tools as I am, then these five websites will do a great job of ensuring that you’ve always get your fix. Know any other great places to find portable applications? Let me know in the comments below! The next best thing to making your own (with Universal Extractor) is portablefreeware.com . I don't like my software 'added to and rewrapped' by another entity just to make it portable. Portablefreeware.com has a large selection of 'clean' portables. Check out their forum ....you can learn alot there. If you're a teacher/ student, then http://eduapps.org/ is worth looking at; they've got apps aimed at learners, teachers & also accessibility related ones. Due to funding issues, you can't always download their pre-packaged versions, but it does give you names to check on other sites. Hey, thanks for mentioning portablefreeware.com and appreciating our work. Feels good to see that. The title says "for every portable app on the Web". Where are the sites for Linux and Mac portable apps? Either sites for other O/Ss should be provided or the title changed to "every portable WINDOWS app". Anything other than http://portablelinuxapps.org/ for Linux? A lot of the packages don't seem to get frequent updates. Also, is there some issue with 64-bit Linux using these portable apps? Love PortableApps.com for Windows though. You have forgotten http://lupopensuite.com - Lupo Pen Suite, which provides a few more programs than PortableApps.com. And while the main menu doesn't auto-update like PA.c's, I find it to be more feature-rich, like the ability to keep Web suites, or general Web links, in your menu and access them from the portable browser. And you've also overlooked WinPenPack, http://www.winpenpack.com , The database of software is simply astounding. Couple that to a custom installer (they call their own projects X-Software and others' Portable Software) and you have a recipe for a wonderfully huge, well-managed database of programs in a relatively minimalist style. But I changed for liberkey.com: little better menu app and great file association tool (also portable) integrated with his apps. and always has a new app available (strong community). Both of them have software update notification on their menu app, wich is enough reason to give them a try. I have to agree with David R and Jon M. I especially love the flexibility of the Liberkey menu, and the ability to customize it, completely. I agree with David R., Liberkey is the best of the bunch with PortableApps second. And Winpenpack . . . many programs are repeat but run much faster. Or make your own with Cameyo which is turning into a great virtualization program with many programs ready for download. Hrm. You missed Lupo PenSuite.